Business as usual is not an option if the ambitions of the 2030 Agenda for Sustainable Development are to be met. The scale and depth of the goals require a radically different and disruptive approach—the essence of innovation—along with significant scientific breakthroughs and technological advancements. 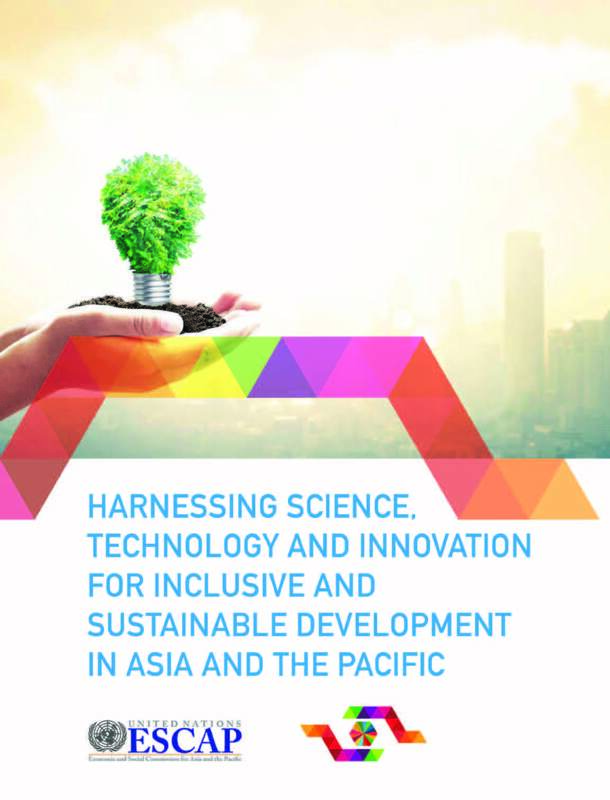 Science, technology and innovation (STI) have the potential to increase the efficiency, effectiveness and impact of our efforts to meet the ambitions of the 2030 Agenda and create benefits for society, the economy and the environment. Despite consensus on the transformative potential of STI, there remains a lack of clarity on how best to effectively implement it for inclusive and sustainable development. To address this gap, ESCAP member States requested the ESCAP secretariat to provide guidance on harnessing the potential of STI. By explicitly including STI in both the Sustainable Development Goals and the Addis Ababa Action Agenda, the United Nations has made a commitment to support countries in their efforts to harness STI for inclusive and sustainable development. The role of ESCAP, as the regional arm of the United Nations, is to cross-fertilize the vast regional experience and expertise and to facilitate knowledge sharing of sustainable innovation and technology solutions for collaborative action. For STI to be effectively implemented for inclusive and sustainable development, it is critical to first chart the practical steps needed for balanced and integrated development. This 2016 publication makes an important contribution to these deliberations.